Our huge range of luxury wedding envelopes will make your wedding invitations stand out from the crowd. Available in all sizes including C5, C6, C7, DL, Square, 5x7 and RSVP size. 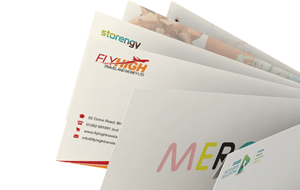 Our selection includes high quality 130gsm in white or ivory, hammer effect, linen effect, die cut and lightly textured off white envelopes. We also stock a range of wedding stationery from favour boxes, wedding scroll boxes to place cards and envelope seals that colour match with our envelopes. 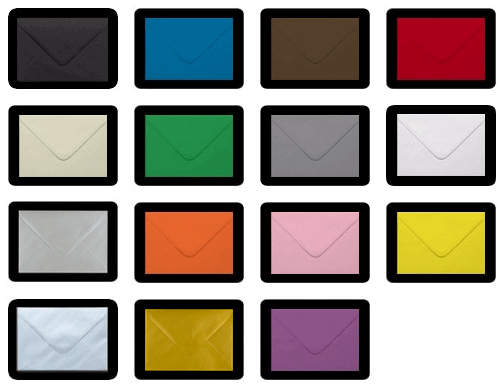 Looking for custom wedding envelopes? We can personalise your envelopes with your own design or with your guests names and addresses in a choice of your font, size, style and colour! This will save you time handwriting all your invitations and make them extra special! Not only do we do address printing but we can also print your RSVP and thank you envelopes!